Today was a holiday in Santiago and the weather gods must have wanted everyone to be happy because the sun was shining when I opened the shutters this morning. Being a holiday there was limited public transportation and facilities open except for the bars and restaurants and of course all the locals were out strolling the streets. It was sure different from the previous two days when it was raining. I had just ventured out in search of morning coffee when I spied Sabina from Australia. She was heading for the cathedral to meet Mary from Scotland and they were going to the pilgrim mass. It was nice to chat and I waited a bit hoping Mary would show. I left Sabina and went again in search of breakfast. The cafes and bars were filling quickly with tourists and locals. After breakfast I was hoping to take a bus to the City of Culture, but because of the holiday, the buses were only running on holiday schedule and I had already missed the bus. On to an alternate plan to see if any museums were open. 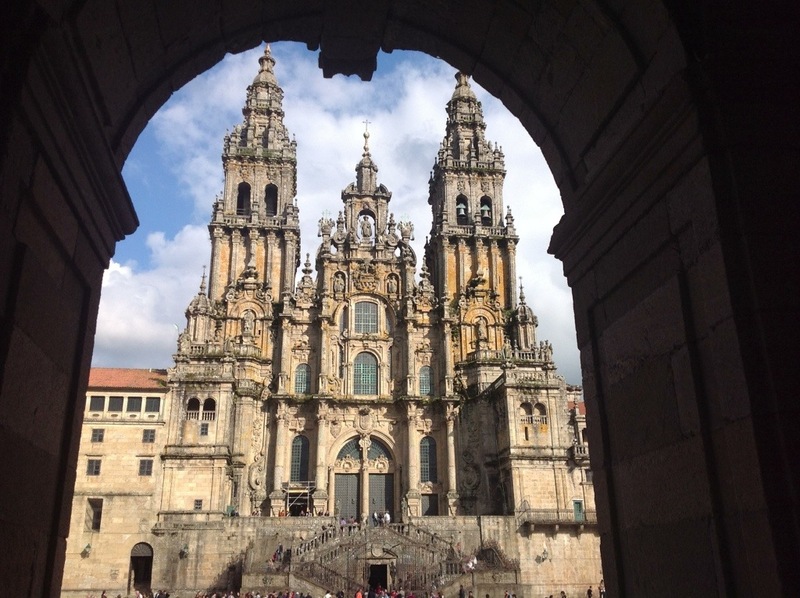 The first one I found open was the Museum of Pilgrimages and Santiago. The museum is in a fourteenth century building called “Gothic House”. 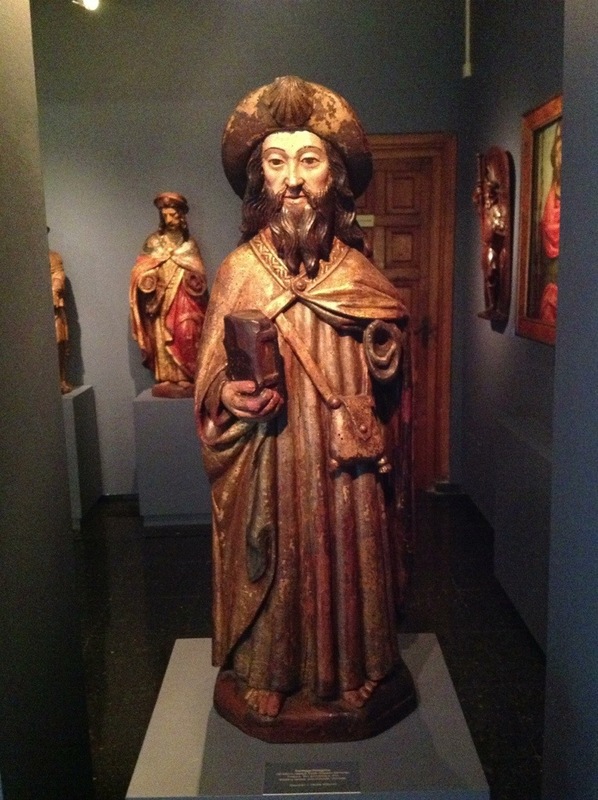 The museum opened in 1996 and explores pilgrimages as a universal phenomenon, the development of Santiago as a pilgrimage centre, the many and varied facets of the man, the apostle, the pilgrim, the knight and the saint known as James. It was interesting to get some historical background on both pilgrims and Saint James. After spending several hours learning about pilgrims, it was close to siesta time and shops would be closing. 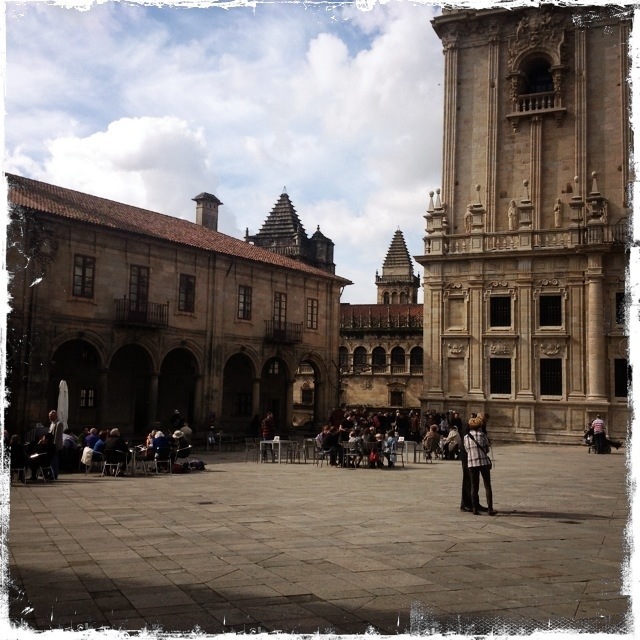 The square at the cathedral and the bars and restaurants were busy with the locals enjoying the holiday and the pilgrims being tourists. There were lots of street musicians to entertain. From bagpipes, to guitar, to violin, and jazz, every street you ventured down, there was music playing. There were even street vendors selling their art or photography. Even though there was not many facilities open, it was nice to walk or sit and people watch and listen to the music of the street. Sometimes it is great to have no plan and let the day unfold and just be a tourist. 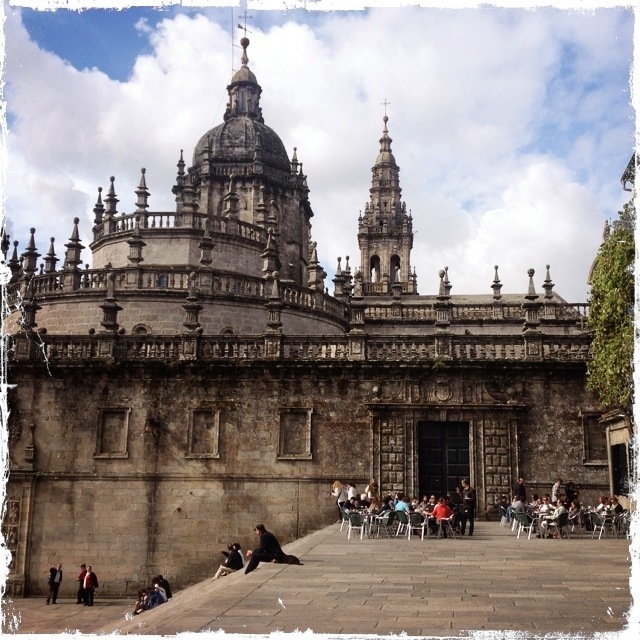 This entry was posted in Travel and tagged el Camino, solo, Spain, Travel, walking, women. Bookmark the permalink.